What does the word success mean to you? According to Google.com, success is a noun and has three meanings: 1) the accomplishment of an aim or purpose 2) the attainment of popularity or profit 3) a person or thing that achieves desired aims or attains prosperity. After reviewing this definition, “Success” seems to come in many forms depending on the individual and their dreams or goals. Do you often wonder how people achieve success? Below is a great short video called How Incredibly Successful People THINK, by Brendon Burchard a #1 New York Times bestselling author on motivation. This is to share with you a conversation with Craig Bailey, Mast Global Logistics (L Brands). 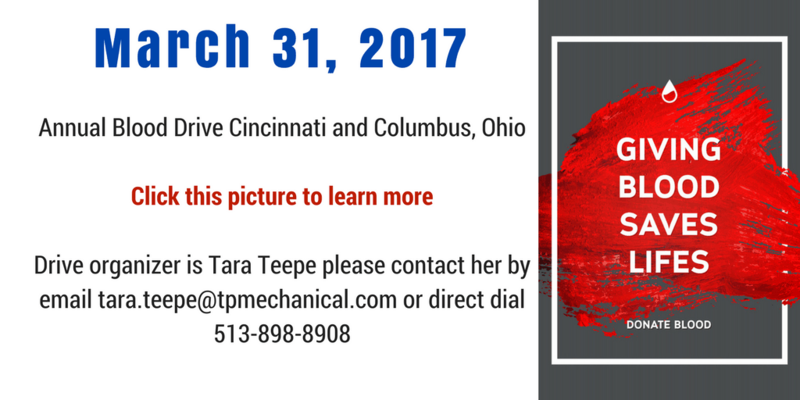 Craig took time after a pre-bid meeting yesterday to tell me what an asset you are to TP Mechanical. He said working with you made his job a lot easier. He appreciates your knowledge, work ethic, attitude, and cooperation. Craig also said he looks forward to working with you again in the future. I’ve known Craig for twenty years. He’s not easily impressed. He’s also not quick to hand out compliments. It made me feel good to hear praises for one of my fellow employees. Especially after a client meeting, in front of our competitors! The Ohio State University Wexner Medical Center has published a recipe for Frozen Yogurt Pizza. Above is a quick video tutorial on how to prepare this delicious snack for you and your family. To follow this recipe and for step by step instructions please click here to visit OSU Wexner Medical website. When you think of lean protein, there’s a pretty good chance chicken is the first thing that comes to mind. 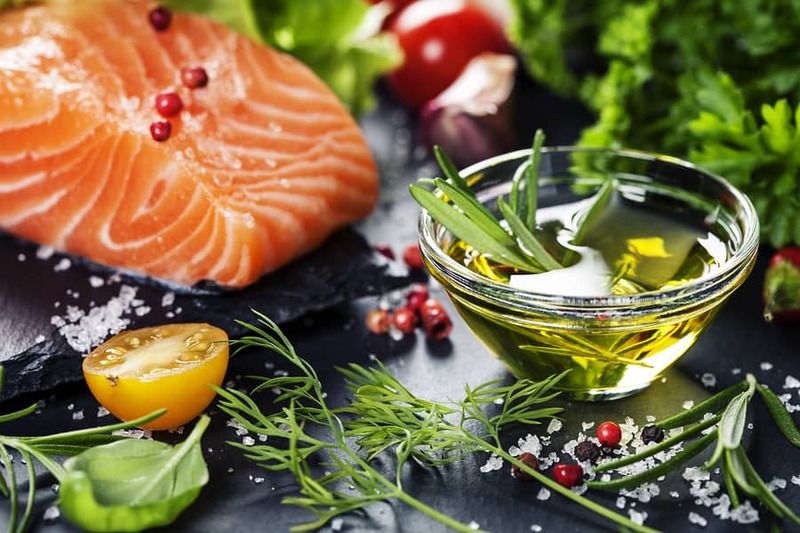 But this macronutrient, which is vital for losing weight, comes in many shapes and sizes. Though it’s easy to get stuck in a food rut, especially if you’re trying to shed pounds, eating the same kale and grilled chicken salad 5 days in a row is a recipe for bailing on your healthy habits altogether. Swapping that chicken for salmon or shrimp will keep you from getting so bored you throw your lunch away twice a week (we see you). And, just in case we all need a refresher: Lean protein is kind of a big deal when it comes to weight loss. Your body needs protein to maintain, repair, and grow lean, fat-burning muscle and help you stay fuller longer. One 2005 study published in the Journal of Clinical Nutrition even found that people who ate 30% of their calories from protein, versus 15%, reduced their total energy intake by 441 calories. So to get you to your weight loss goal without hating life (and chicken), we bring you this list of all your healthy, lean protein options. The article 16 Kinds Of Lean Protein That Can Help You Lose Weight originally ran on WomensHealthMag.com. Continue reading this article by clicking here. 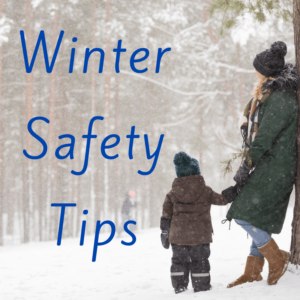 Whether winter brings severe storms, light dusting or just cold temperatures, the American Academy of Pediatrics (AAP) has some valuable tips on how to keep your children safe and warm. To read this article please click here. Topics discussed in this article: What to Wear, Hypothermia, Frostbite, Winter Health, Winter Sports and Activities, Ice Skating, Sledding, Snow Skiing and Snowboarding, Snowmobiling, and Sun Protection. 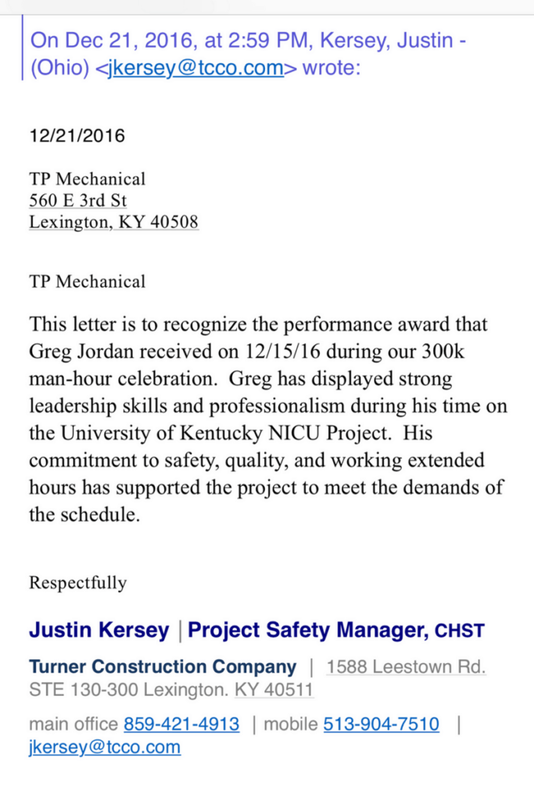 Congratulations estimating and sales for securing work totaling $719,484 and total man hours of 80. Wins below are reported for the month of December 2016. Clark County Extension Office Multi-Plastics, Inc.
My grandmother used to affectionately call me “the rose between the thorns”, thorns being my older and younger siblings. Now, society is calling me a sandwich. Not for my birth order, unfortunately, but as I’ve come to learn, for being one of the growing number of Americansopens in a new window who have to worry about taking care of their growing children and aging parents. Not to mention, worry about growing old myself and funding my retirement. As if my newly formed eye wrinkles weren’t already a gentle reminder of getting old. There is a compelling reason a flight attendant instructs parents to put on their oxygen masks before assisting their small children: You cannot effectively take care of others until you yourself are taken care of. Although this might feel completely unnatural, save for your retirement first. There are easy-to-implement solutions to common retirement challenges, including efficient investment growth opportunities and estimating the cost of retirement in cities you want to live. It’s also worth looking into the benefits offered by your employer – like retirement matching, life insuranceopens in a new window and financial planning – to help you save for retirement even faster. Who Comes Next: Kids Or Parents? 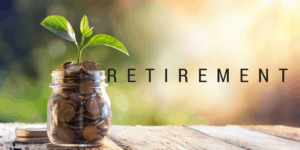 Ultimately, while everyone should be saving for retirement first, the next decision is a highly personal one and depends on your unique circumstances. Your priorities will be determined by how far both your kids and parents are from the age where they’ll need your financial help most. But the good news is that there are ways to grow and support your savings for both your kids’ college and your parents’ care. There are many ways to fund your child’s college education. Whether you have $5,000 or $50 earmarked for college savings, it’s worth taking time to plan now for an expense that’s knocking at the door. Roth and 529 plans offer tax-advantaged savings, while student aid can be a great low-interest rate choice for those who need their cash on hand to remain liquid. Additionally, alternatives like government assistance may be more readily available than you think, and you may even want to consider getting creative about how your kids can contribute to their college expenses. No matter what you decide include them in the planning. It will help them understand what you can and cannot pay for, or potentially help them to understand the full scope of what student loans may mean to them someday. If your parents are struggling with navigating their healthcare options, or if assisted living is the next best step but beyond the budget, it’s a great use of your time to get involved by ensuring they’re receiving all their due benefits. And there are more benefits available than the obvious ones, like Social Security and Medicare. Part of your employer benefit package may include resources that help your aging parent navigate medical bills or prescription costs. Even more, did you know that every U.S. Senator has a staff specialist on elder affairs, programs and services? These advocates can help you ensure that your parents are getting all of the help that’s available to them in their state. For more resources on elder benefits and how to apply for them, check out this handy listopens in a new window. In addition to easing the financial burden on you, these benefits can result in a higher quality of life for both you and your parents in their later years. As challenging as it is juggling my own needs, let alone those of others, I wouldn’t trade that challenge for the love and support of my family (cue Aretha Franklins We Are Family). By taking care of yourself first, then taking time to explore options for college funding and benefits available to your parents, you might find that your goals are more comfortably within your reach than you thought. And that’s an outcome that you, your kids and your parents can benefit from. This article is presented for informational purposes only. It should not be considered advice for which you should contact your qualified professional before making financial decisions.